Turkey’s PM Recep Tayyip Erdogan has announced a major cabinet reshuffle after three ministerial resignations over a corruption inquiry. 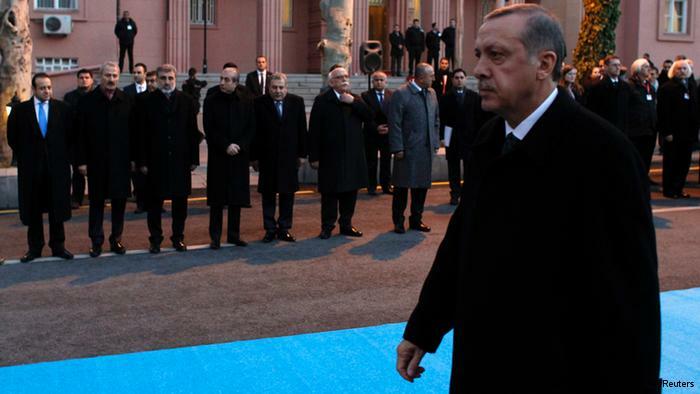 Recep Tayyip Erdogan named 10 new ministers – almost half of his total roster – after talks with President Abdullah Gul. One of those who quit, Environment Minister Erdogan Bayraktar, had urged Recep Tayyip Erdogan to step down himself. Erdogan Bayraktar, Economy Minister Zafer Caglayan and Interior Minister Muammer Guler quit after their sons were taken into custody. All three deny any wrongdoing. In Istanbul, protesters held a street rally against corruption in the government. There were reports of clashes with riot police late on Wednesday evening. Commentators believe the scandal stems from a power struggle between Recep Tayyip Erdogan’s government and an influential US-based Muslim cleric, Fethullah Gulen, who is said to have many followers within Turkey’s police and judiciary. Supporters regard the Hizmet movement inspired by Fethullah Gulen as the benign, modern face of Islam, but critics question its motives. Fethullah Gulen, who has denied any involvement in the investigation, left Turkey in 1999 after being accused by the then government of plotting to establish an Islamic state. He was cleared of that charge but has never returned to Turkey and now lives in Pennsylvania. The government has dismissed dozens of police officials who were either involved in the investigation or thought to be linked to Fethullah Gulen. Journalists have been prevented from entering police buildings, leading to claims that the government is trying to impede the investigation. Recep Tayyip Erdogan submitted the new cabinet line-up to President Abdullah Gul late on Wednesday. Among those who lost his job was EU Affairs Minister Egemen Bagis. Egemen Bagis is accused of being involved in the corruption scandal – but has not been detained or formally charged.